Hotelpension Haydn kohteessa München, Saksa: Varaa nyt! 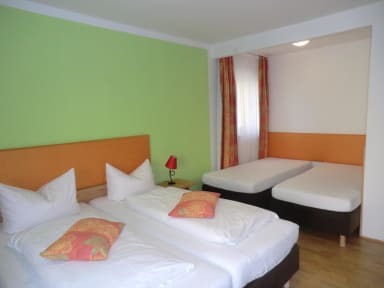 The pension was located close to the U-Bahn station "Goetheplatz", which is located along the lines U3 and U6 and thus enables a direct transportation to many of the main sights, including Marienplatz, BMW-Welt and Englischer Garten. The room was tidy, comfortable and surprisingly quiet. 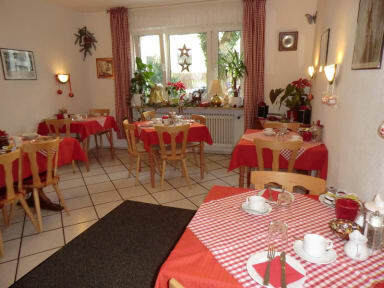 The breakfast was plentiful for an accommodation of this price range. The only drawback is that the staff appeared to consist of mostly non-Germans, who were proficient in neither German nor English. Good breakfast and also nice lunch to take with. Clean and peaceful.